I started with a scrap of Raspberry cardstock that I ran through the CTMH Confetti Embossing Folder. 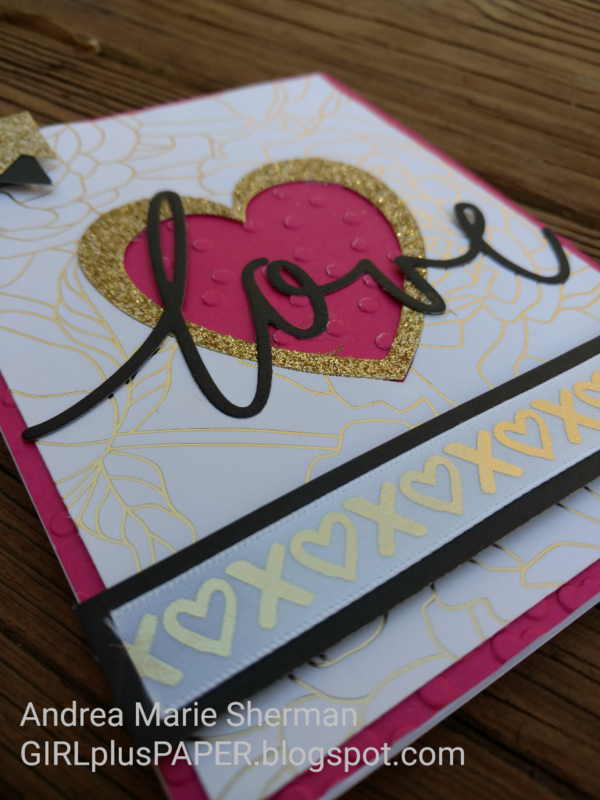 I trimmed down the pretty gold embossed paper from Live Beautifully, and I ran it through my die cutting machine with a CTMH Heart Thin Cuts. 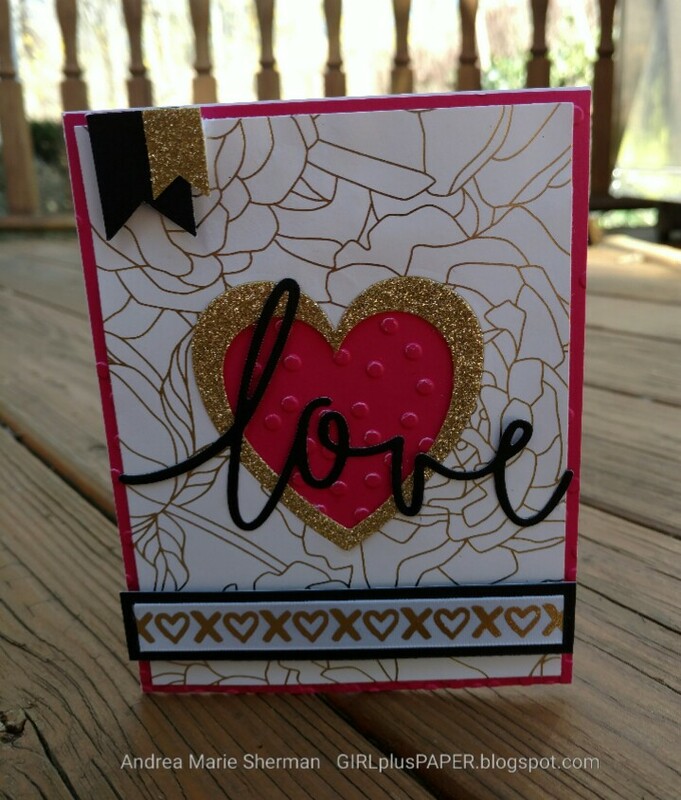 The Gold Glitter Cardstock Heart was created by using two different sized Heart Thin Cuts, and I adhered that down inside of my original heart. Next, I used the Love Thin Cuts with some black cardstock for the sentiment, and used more black cardstock bits around the card. I added a little bit of XO ribbon from the CTMH Uptown Ribbon pack. 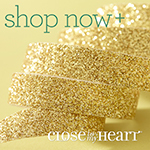 I love its gold foil embossing! CTMH Cut Above Forever & Always for only $7.48!! !